April & Easter 2019 at El Oceano Beach Hotel. Spring is Beautiful on the Costa. 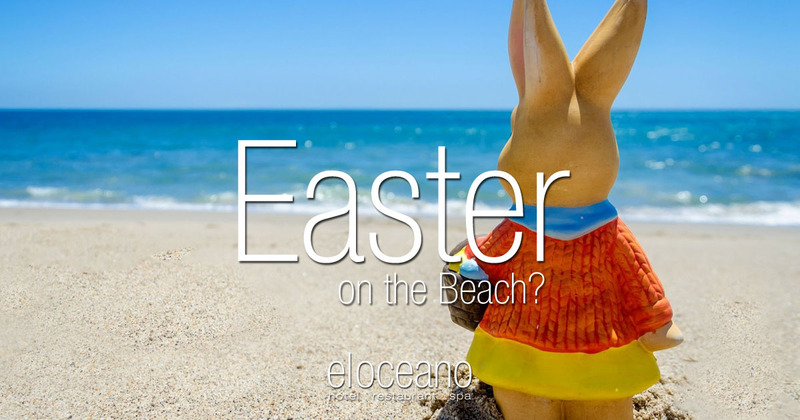 April & Easter at El Oceano Beach Hotel. The start of the Costa del Sol Spring brings much warmer temperatures and the first major event of the El Oceano Season, the Easter Bank Holiday! Always a very busy time of year, April is warm enough to swim, but temperate enough to not be too hot. A wonderful time of year! April in Southern Spain is a wonderful time of year. It’s probably still be cold in Northern Europe, but here on the Mediterranean, it’s swimming temperatures! April also sees the beginning of our new season, with Easter being the first major event of the year. 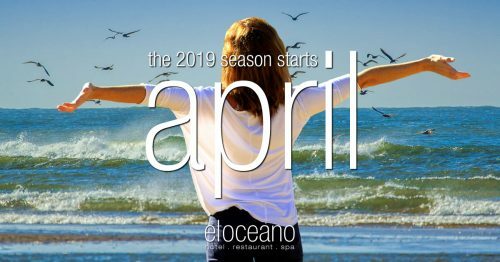 In 2019, Easter Sunday falls on April the 21st and the Easter Bank Holiday weekend of 19th to the 22nd is always a very popular time here at El Oceano. Many of our regular hotel and restaurant guests are keen to get back here after our winter hibernation, making the Easter Bank Holiday a very special time for us. Awesome April Hotel Rates – BOOK ONLINE NOW! 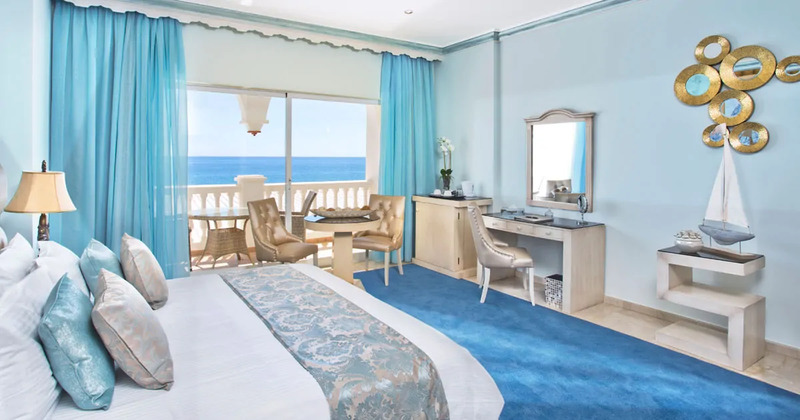 As if the Spanish Spring weren’t a good enough reason to join us for an April holiday, we have some amazing discounted, low season rates in the hotel, too!! Make a reservation enquiry and see the rates! Saturday April 6th sees the annual The Grand National Day at El Oceano, too!! An absolutely cracking day of racing and fantastic entertainment! It also sees the first of our, now legendary, Full Moon Gala Dinners, on Friday 19th April, 2018. Of course, our regular entertainers will be with us, too!! Every Thursday and Saturday, join the fabulous Mr Johnny Baker and every Friday the wonderful Eva Ruiz is here to wow us!! 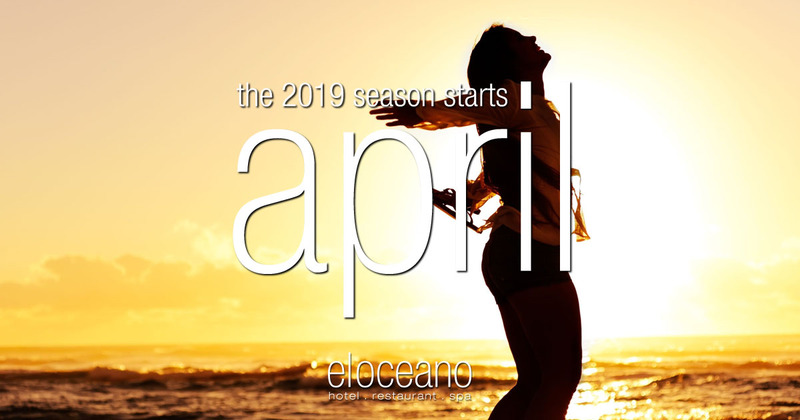 The waiting is over and the sensational 2019 Season at El Oceano Luxury Beach Hotel & Restaurant begins!! Book your table for the first night of the 2019 Season! An intimate evening with Dolly Parton & Frankie Valli at El Oceano Restaurant! 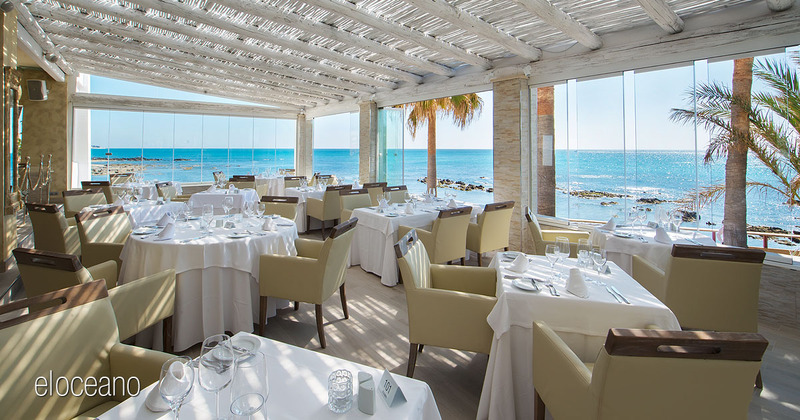 An amazing night of two tribute acts, with a fabulous 3-course El Oceano menu! What more could you ask?! 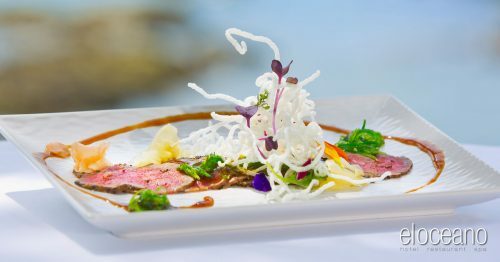 But it’s not the just the entertainment… the night includes a impeccable, El Oceano three course menu. Outstanding eating, outstanding entertainment. The Jersey Boys!! The story of Frankie Valli and the Four Seasons is a spectacular show from Ben James! It’s been a while since they’ve been with us and we’re very much looking forward to it! Book your tickets!! 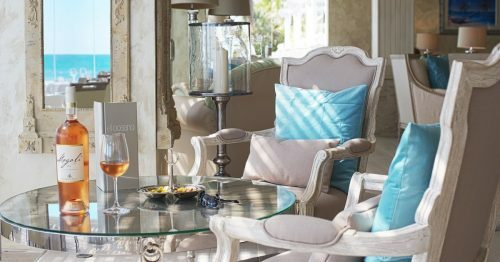 The Bank Holiday weekend aside, April is a great month to visit Andalucia and the Costa del Sol. The crazy summer crowds haven’t yet arrived and the towns and villages of Mijas Costa are welcoming, reasonably quiet and easily warm enough to sit outside with a glass of Rioja and a plate of Manchego Cheese and Serrano ham. reserve your april in paradise! 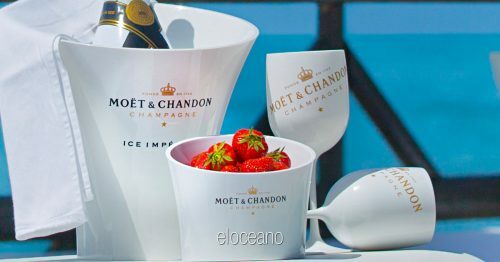 Still very much Spring not Summer, April will bring average temperatures of around 21ºC, that’s about 70º Fahrenheit! That’s pretty warm by most standards – specially Europe standards. And that’s just the average! Expect higher temperature! The evenings, however, tend to be a bit cooler as the sun goes down, so a Marks and Spencer lambswool jumper might be an idea. Or something similar, of course. El Oceano is right on the coast, but within easy reach of a handful of beautiful ‘white towns’ and villages. 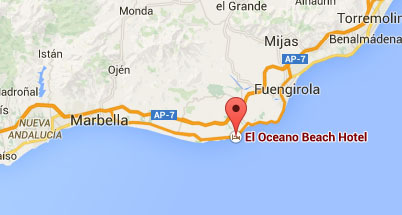 La Cala de Mijas is just 5 minutes drive along the road, or 15/20 minutes walk along the fabulous Mijas Boardwalk. The Boardwalk runs directly outside our hotel and the walk is just beautiful. 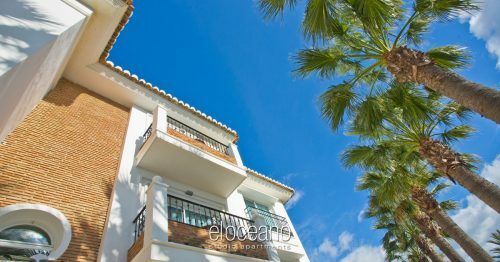 A 15 minute drive will get you to the spectacular little town of Mijas Pueblo,, perched in the foothills of the mountains. Am authentic ‘white town’, Mijas Pueblo is a great place for a day trip. Lots to see and do in April, all the amenities are open and the views from the mountainside, across the Costa del Sol, are just stunning. We absolutely recommend you visit Mijas Pueblo. April also marks the start of the Spanish Summer Ferias (Fairs). All over Andalucia, from Málaga to Seville, Granada to Cordoba, the Ferias are fantastic fun, marking the end of the winter. Thank you to andalucia.com for their comprehensive list of April Ferias. If your thinking about Easter weekend, we honestly recommend you think quickly. As mentioned above, it is always a very popular time here. Later in the month isn’t quite as busy, but April in the hotel is usually fully booked by the end of March. 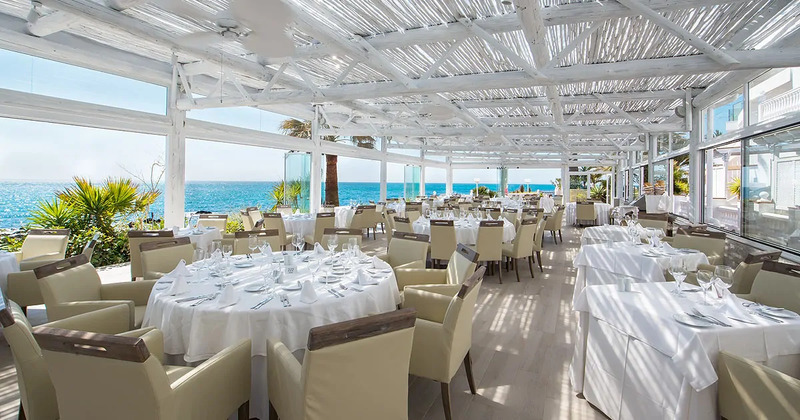 The restaurant also gets busy, as this is the first month after our winter closure, but hotel guests will always receive ‘first dibs’ on restaurant tables. Book your April in Paradise! Go on… you know you deserve it!